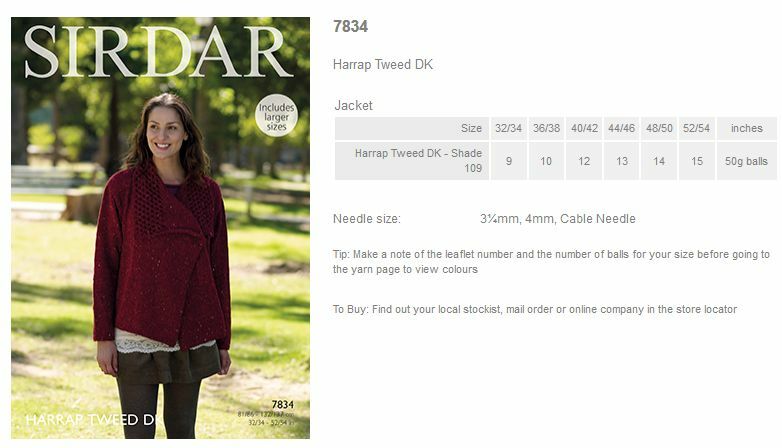 7834 - Jacket using Harrap Tweed DK Leaflet with designs for a Jacket using Harrap Tweed DK. 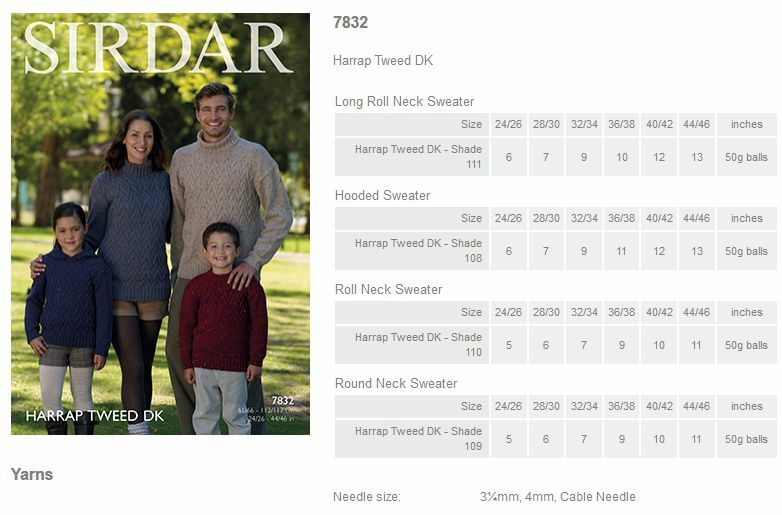 7832 - Long Roll Neck Sweater, Hooded Sweater, Roll Neck Sweater and Round Neck Sweater using Harrap Tweed DK Leaflet with designs for a Long Roll Neck Sweater, Hooded Sweater, Roll Neck Sweater and Round Neck Sweater using Harrap Tweed DK. 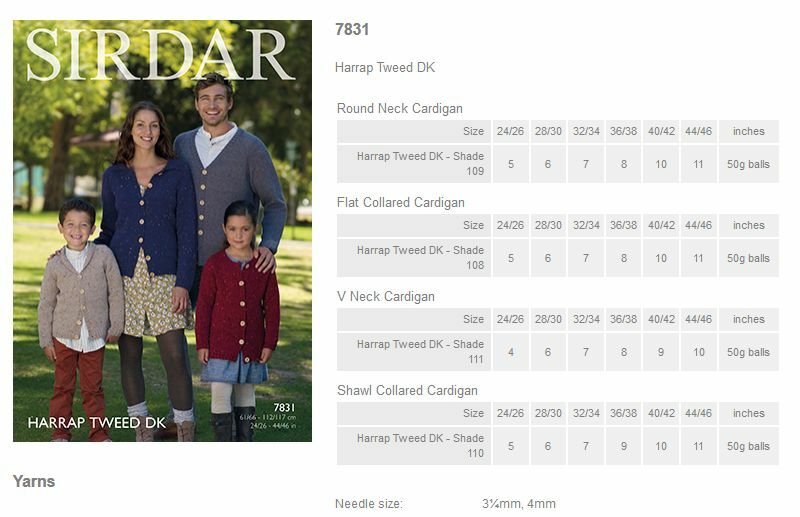 7831 - Round Neck Cardigan, Flat Collared Cardigan, V Neck Cardigan and Shawl Collared Cardigan using Harrap Tweed DK Leaflet with designs for a Round Neck Cardigan, Flat Collared Cardigan, V Neck Cardigan and Shawl Collared Cardigan using Harrap Tweed DK. 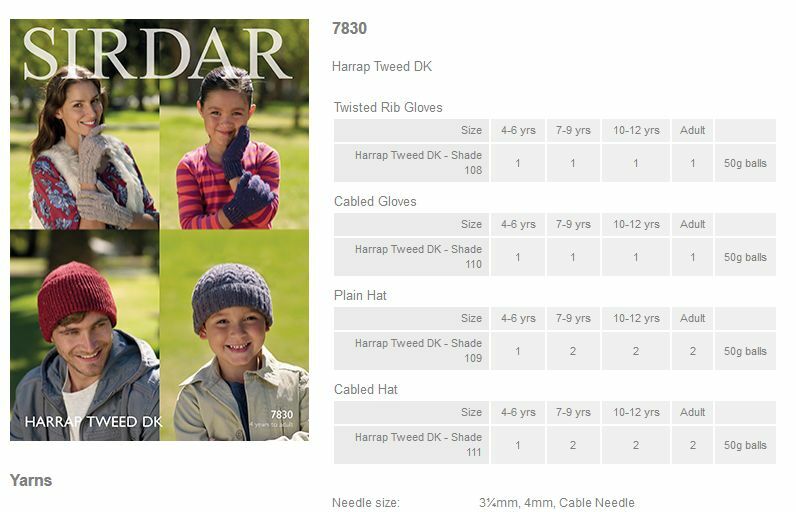 7830 - Twisted Rib Gloves, Cabled Gloves, Plain Hat and Cabled Hat using Harrap Tweed DK Leaflet with designs for Twisted Rib Gloves, Cabled Gloves, Plain Hat and Cabled Hat using Harrap Tweed DK.